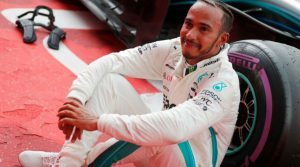 Whether you like Formula 1 racing or not, Sunday’s race in Hockenheim and more specifically, Lewis Hamilton’s mental attitude, contained an important lesson for anyone struggling with their mindset due to disability or chronic illness. After a disappointing qualifying session on Saturday, an engine failure meant Lewis Hamilton started Sunday’s race in 14th position when his closest rival and challenger for the championship, Sebastian Vettel, started from Pole Position. Going into the race, Vettel had a 12 point lead over Hamilton in the Championship, and for anyone who’s not familiar with F1 racing, a race victory is worth 25 points. Finish outside the top ten and you’ll get zero points. A win for Vettel would have extended his lead making things incredibly difficult for Hamilton at this half-way point in the championship. In an exciting Sunday race, consisting of crashes, 360 spins and a splattering of rain, Hamilton had worked his way up the pack into 4th place while Vettel held strong at the front of the race. As the rain started to fall and confusion spread among the drivers as to which tyres to change to (dry, intermediate, or wet tyres being the main options) Hamilton’s team decided that using slick, dry weather tyres, would be the best option on a part dry-part wet track – contrary to most other cars, who were switching to wet weather tyres. As Hamilton re-entered the track on his new tyres Sebastian Vettel held a 23 second lead. Over the course of the next few laps as the rain continued to fall, Hamilton reduced the lead to 12 seconds before Vettel made a mistake on a hairpin corner and ended up crashing out of the race. Hamilton went onto win the race, earning himself 25 points against Vettel’s zero points. Was Vettel’s crash a result of the pressure Hamilton put on him over those few laps? Almost certainly. If you have MS and you’re hoping to improve your fitness levels click here to check out my MS Warrior Programme.